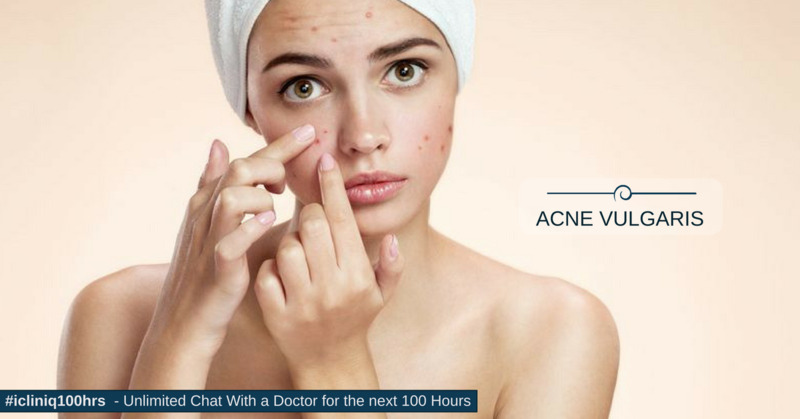 Pimples or acne is a common skin condition of adolescents and teenagers due to blockage of pores of oil producing glands which results in blackheads, bumps and nodules on the skin of face, upper arms, and trunk. How can I get rid of chicken-pox scars? The severity, duration, and the distribution of pimples may vary considerably with temporary flare-ups and recovery alternating. The lesions tend to get better as one approaches mid-20s. Many individuals need to seek treatment because of severity or psychosocial concerns. The cause for pimples is the blockage of pores and tiny pipes leading to pores through which oily secretions of skin glands escape to the surface. This blockage causes swelling of the involved structures in which skin bacteria get entrapped leading to pus formation. Although it is not possible to completely prevent pimples, still a lot can be done to minimize their intensity and chances of recurrence. If pimples run in your family, start taking good care of your skin at an early age. Keep hairs short and clean, preferably with no or minimal oil. Control dandruff with suitable treatment, if you have any. Wash your face with a mild face wash or plain tap water at least every 2 hours. Washing should be gentle and without much force with hand movement in a circular fashion. Avoid dusty and polluted environment. Avoid food articles and cosmetics that seem to trigger onset of fresh crop of pimples (occlusive cosmetic lotions/creams/cleansers, high humidity, certain medicines, high intake of milk etc.). Avoid skin products that tend to block pores. Use products marked as “non-comedogenic” for this purpose. Do not pick at or scrub pimples. Adhere to the prescribed treatment and do not use products that are not recommended by your dermatologist.